As always, click any picture for a bigger version. Cool stuff. 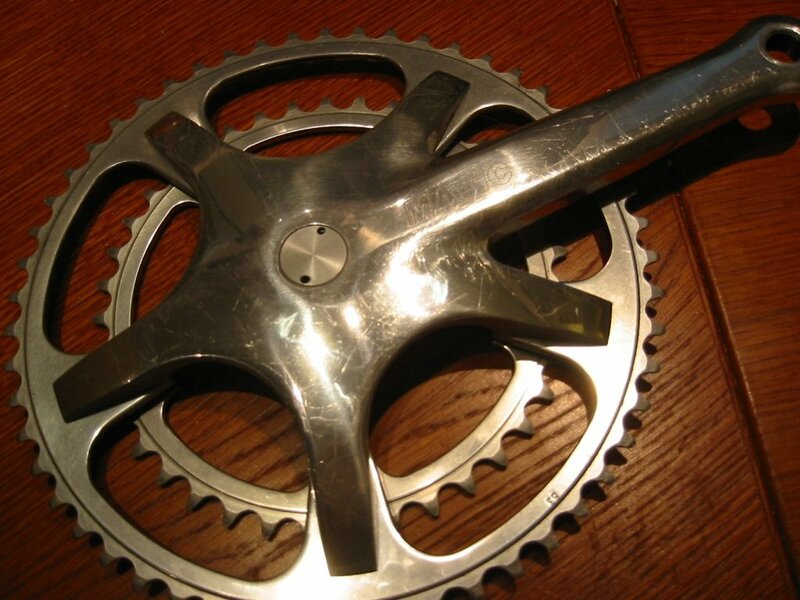 The cranks are destined to be mounted on my Merckx, once I find a bottom bracket of the right size -- 70x113 Italian bottom brackets aren't terribly easy to find these days, especially in a square taper. They're probably heavier than the Ultegras on there now, but weight be damned, I'm all about aesthetics. Sooner or later I'll track down an 840 rear derailleur. They're Shimano indexing compatible, so I'll be able to keep the Shimano 9 speed shifters and cassette. Going non-indexed on my main rider just isn't going to happen.